Can anyone please help ID this Junipers 'type'? 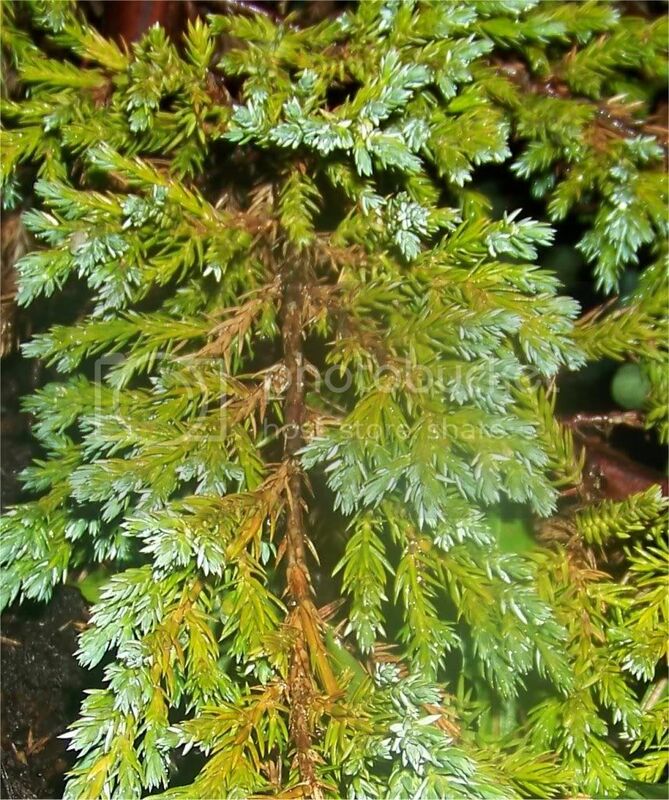 I have had this Juniper for many years now. I would like to take some cuttings in hope of transforming them into bonsai. 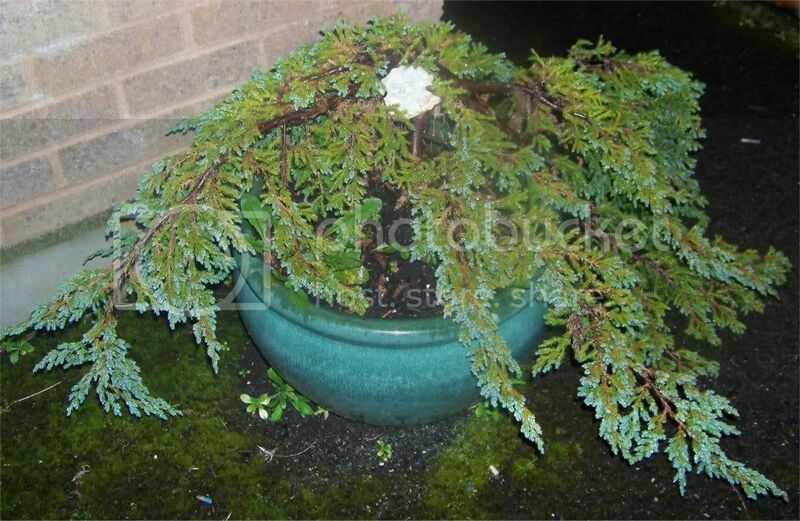 I would like to find out what type of Juniper it is It has always lived out of doors, and is quite happy. I live in Cornwall UK, so our weather is quite mild compared to most. I have put some photos below, the first shows it out in the snow just a couple of months ago. The second, is how it is looking now, (in need of weeding etc ) and the third is a close up of the leaves (needles). The leaves are green with silver on the upper side. Sorry the photos are not better. It's a juniper procumbens. I don't think it's a nana (dwarf) version. 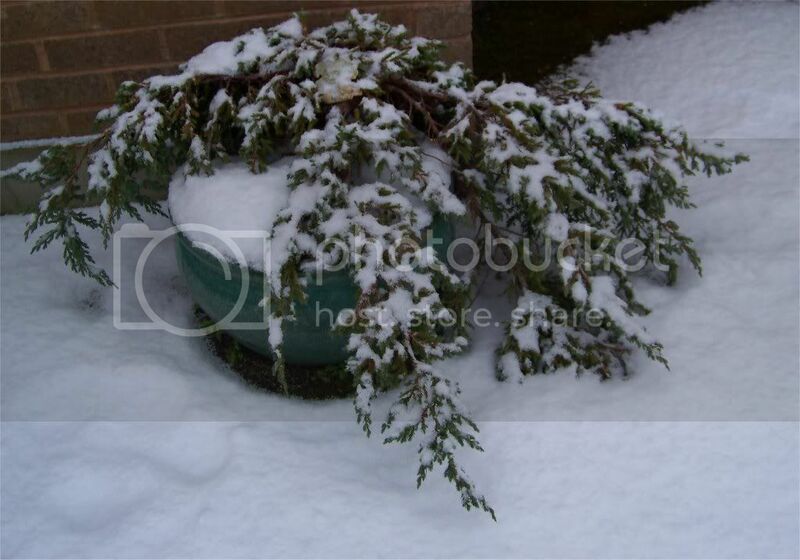 I have a very similar juniper. Don't take cuttings, use the tree as it is. See my thread on the subject. After pruning, you can try to root the clippings. Marsman wrote: Don't take cuttings, use the tree as it is. See my thread on the subject. After pruning, you can try to root the clippings. I had exactly the same thought. Rather than spend years growing out some cuttings use what you already have. I had already mentioned to my husband that i think i need a stand or something for it, as it really needs to be raised up. He's brilliant and makes wonderful things from wood, so I'm sure he'll come up with something nice for it. I will post some pics when i eventually risk touching it. Many thanks once again to you both.